Thomas Juli Empowerment Partners (TJEP) is a professional service organization for innovative empowerment, consulting and interim management in the areas of governance, leadership, project and operational management. 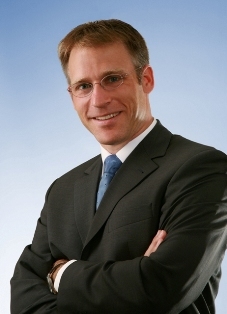 The founder, Dr. Thomas Juli, is an experienced, enthusiastic and results-driven manager. He provides leading edge program, interim and operational management offering more than 15 years of progressive leadership and management experience in various functions including project and program management, management consulting, business analysis, professional training and academic teaching. He is a certified Project Management Professional (PMP®) by the Project Management Institute and Certified Scrum Master (CSM®) by the Scrum Alliance. He is founder and president of i-Sparks, an open ideas and projects platform that helps individuals and organizations interested in social good grow their ideas into projects for success. In addition to i-Sparks he is managing director of Thomas Juli Empowerment Partners, a professional service organization for innovative empowerment, consulting and interim management. Prior to starting his own consulting business he worked for SAP and two leading management and IT consultancies, Sapient and Cambridge Technology Partners. He consulted for various companies in the telecommunications, banking, energy and public sectors. He is a regular speaker at conferences on project management such as the PMI Global Congresses and the NASA Project Management Challenge. He is the author of Leadership Principles for Project Success (CRC Press, New York, 2011).